Maurice Béjart’s Boléro returns to La Scala in March, with Roberto Bolle dancing the La Mélodie for the first time. The 15-minute work was last seen in the theatre in 2003 when Sylvie Guillem danced the central role. Béjart Ballet Lausanne’s ‘experts’ Elisabet Ros and Julien Favreau will be featured too, as well as three young dancers from La Scala’s company: Martina Arduino, Virna Toppi and Gioacchino Starace, all making role debuts. La Scala had a production of Boléro by the choreographer Aurel Milloss in its repertory from the 1950s on, but Béjart’s red table made its first appearance in 1980 with his sometime muse, Luciana Savignano, who last danced the part at La Scala in 1996, the year she turned 53. Her interpretation, with her extraordinarily fluid and sensual movements, has rarely been equalled. Savignano dominated Boléro at La Scala, though Jorge Donn and Patrick Dupont both took turns, and only after she stopped performing the role did another ballerina step onto the table when Guillem danced her seven unforgettable performances. We were given a calligraphic sheet with little figures of dancers on it. They illustrate in detail the eighteen “phrases” that we interpret in the choreography of Bolero. One of them is called Cat, because the movement imitates the way in which a cat jumps up in the air. Another bears the name Crab, because the shape of our hands has to imitate a crab’s pincers. For the phrase entitled BB, I imagined that the ports de bras swaying from right to left were imitating the rocking of a baby. In reality, Maurice Béjart was inspired by none other than Brigitte Bardot. So firstly, before we even started rehearsals, we memorised these “phrases”. La Scala’s triple bill will also see the return of Jiří Kylián’s Petite Mort, last performed in 2007, but most eyes will be on Mahler 10, the evening’s opening work choreographed by the Canadian Aszure Barton. Mikhail Baryshnikov acclaimed her as one of the most innovative choreographers of her generation and her works have been performed by Alvin Ailey American Dance Theatre, English National Ballet, American Ballet Theatre, Nederlands Dans Theater, National Ballet of Canada, Martha Graham Dance Company, Bayerisches Staatsballett, among many others. The 25-minute work is set to Mahler’s Adagio from his tenth symphony. 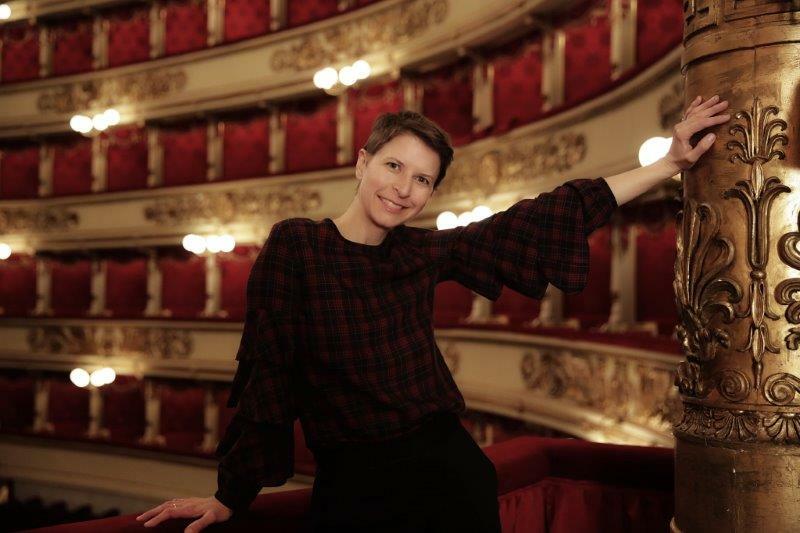 The commission by La Scala brings Barton to the theatre for the first time and will involve 26 of the company dancers, featuring Antonino Sutera, Claudio Coviello, Virna Toppi, Alessandra Vassallo, Antonella Albano, Stefania Ballone, Christian Fagetti, Federico Fresi, and Chiara Fiandra. The Globe and Mail called Barton’s Watch Her a work of “genius”, the San Francisco Chronicle wrote “Barton is clearly brilliant”, and The New York Times reviewing her piece Chambres des Jacques said it was “a rare instance of a dance that feels as if it were plucked straight from the choreographer’s extremely specific imagination and set, full-grown, onstage. “Les Chambres” offers an entire world, full of surprise and humor, emotion and pain, expressed through a dance vocabulary that takes ballet technique and dismantles it to near-invisibility”. Potentially, this must surely be one of the most thrilling evening of dance during 2018! Fabulous….